In his most notable play, Shakespeare famously said that the main question of our existence was whether to be or not to be. Not to criticize his genius, but let us offer an alternative way of looking at life and a different question to be asked: namely, where to be? Being stuck in a stuffy office, sitting in front of the computer while performing the same boring tasks that you have performed yesterday, cannot in any way be compared to being out and about in the world, experiencing cities, forests, beaches and quaint little villages, discovering unknown places and breathing in foreign air. 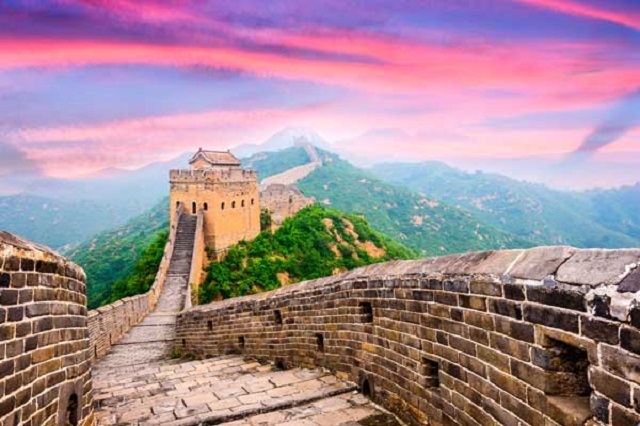 Travelling is a unique state of being and it is no surprise that our bucket lists are usually filled with distant places that we would like to see before our time runs out. Do you have all of the most impressive sights on the list? Or is there something that you could still add to it? Read our guide of 10 must-see things to see and do around the globe and find out! This ancient fortification is not considered to be one of the greatest wonders on this planet for nothing. It is one thing to see it in pictures, but to actually set foot on it and touch the stones that have been there for centuries is an experience which does not compare to anything else. Do not be afraid to stray off the beaten path and explore some of its older stairs and hidden towers. You will find yourself wandering around its crumbling battlements for hours, amazed and enchanted by the history that is embedded in this man-made monument. The melancholic beauty of the Taj Mahal is sure to blow your mind at any time of day, but if you wish to experience it at its most profound, visit the memorial when the moon is full. The complex is open to visitors at night during this time and there is nothing quite as beautiful as its solemn white structure drenched in the dazzling moonlight. The building takes on a life of its own during these nights and you can almost hear it whispering the sad story of an emperor and the love of his life sleeping her eternal sleep in the mausoleum. 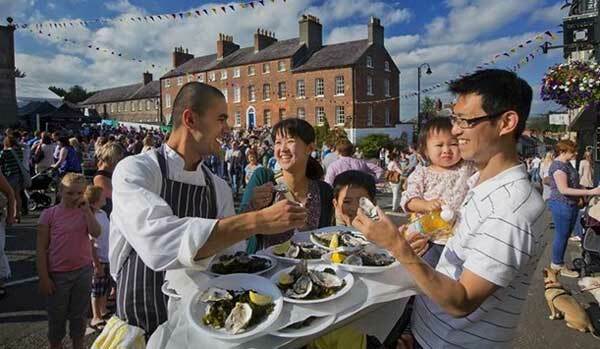 The annual International Oyster Festival, which is held in Galway, is a must for every self-proclaimed foodie. It takes place over a period of three days and celebrates the beginning of an oyster season in a true Irish fashion – drinking, dancing and traditional hospitality of the locals included. The biggest crustacean worshippers are challenged to drink a pint of beer and chase it with some oysters in every pub along the Oyster Trail over the period of the festival, which adds up to around thirty pints and more than a hundred oysters in three days! You will not find a better way to plunge headfirst into the very middle of the unique culture of Ireland. 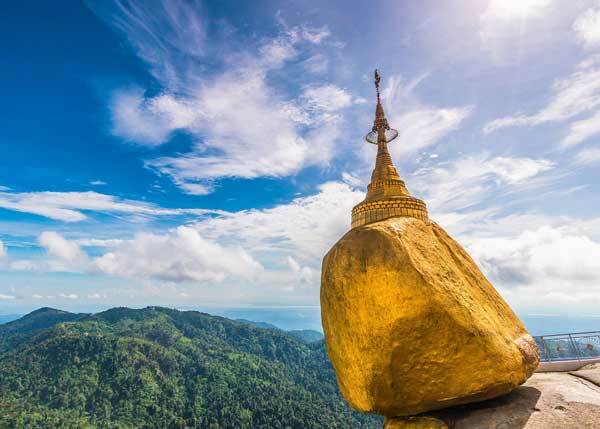 The Golden Rock, or Kyaiktiyo, as the locals call it, is a gigantic granite boulder sitting on the very edge of a natural stone plinth in the Eastern Yoma mountains of the beautiful country of Myanmar. This structure, which seems to defy the laws of physics, is believed to be sacred by the Burmese Buddhists and attracts thousands of pilgrims every year – the legend claims that a few strands of Buddha‘s hair hold it firmly in its place. It is a mind-boggling sight all year round but the peak of its religious significance can only be experienced between the months of November and March, when dedicated Buddhists pray to it among the smell of incense at the dawn of a new day. Nestled cosily between the Atlantic Ocean and the Carribean Sea, the island of Antigua is home to some of the most beautiful beaches that you will ever see – not to mention that this tiny island offers a choice of 365 of them! If you do get a chance to travel to Antigua, make sure to stop by the capital city of St. John‘s as well for some amazing vistas. On the last Wednesday of every August, a tiny Spanish town of Buñol descends into the most entertaining of madness. 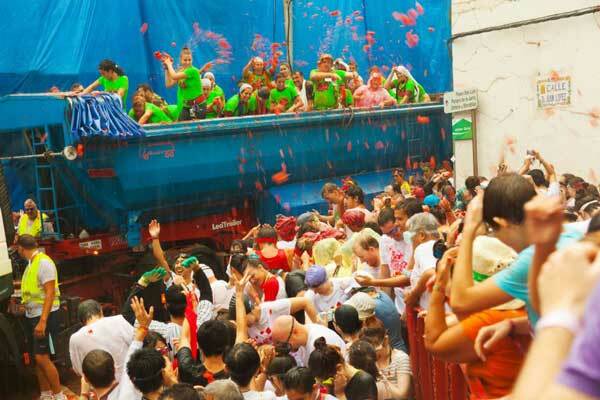 An enormous crowd of people gathers in the city centre and engages in a public tomato fight which has no equals – around 130 000 kilograms of over-ripe tomatoes end up covering the streets and the public over the course of just one hour. Remember how your mother precluded you from getting dirty when you were a child? Well, this is your chance to get as messy as you want while taking part in an unforgettable celebration of life! Even the most impressive zoo cannot be compared to the sight of wild animals roaming around in the wild right next to you. The diversity of species, the intimacy involved in seeing them in their natural habitat and the deep appreciation of nature that stems from it is something that you are bound to treasure for years afterwards. 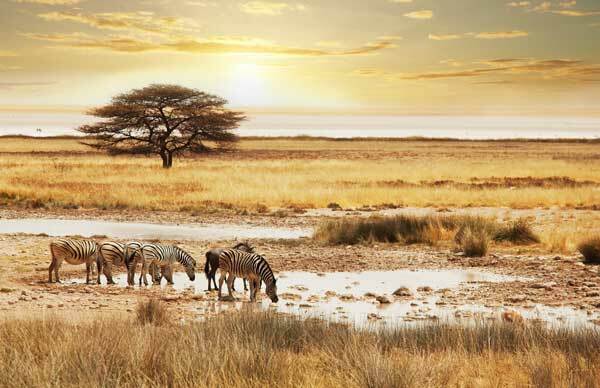 No matter how cliche it might be, experiencing a safari in Africa was always gonna find its way to this bucket list. If one had to choose the most iconic landscape in the USA, a sight that is capable of transforming you as a person, the Grand Canyon would be it. This natural wonder is almost 300 miles long and a whole mile deep. The modern world often forces us to forget our sweet insignificance; we fail to appreciate the vastness of our planet. The immensity of the Grand Canyon is capable of changing that in mere seconds. Petra is a unique historical and archeological site located in southern Jordan. 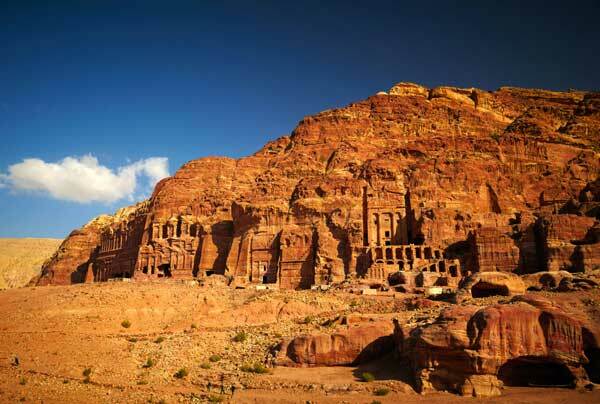 Tourists from all over the world flock to marvel at its rock-carved structures and the surrounding valleys. The Siq – the main entrance to the city comprised of a narrow gorge – is particularly impressive and is sure to remain in your mind forever. 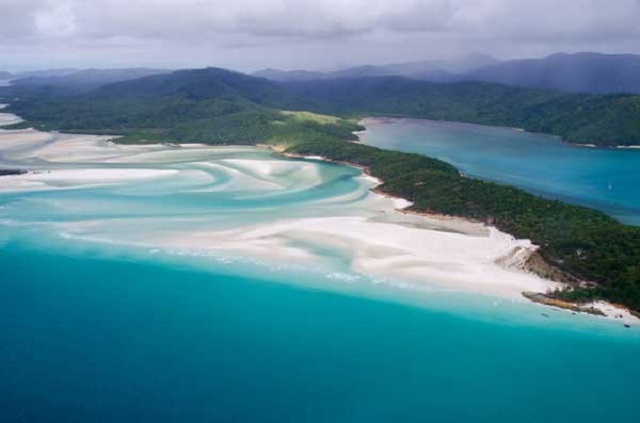 The Whitsundays is a collection of islands off the central coast of Australia – and it is also one of the most idyllic places on this planet. The bright, transparent seas, the perfectly white sands and the green islets raising their backs timidly out of the water calm a wandering mind instantly and allow you to submerge yourself in undisturbed peace. There is such an overabundance of beauty on our planet and for us, there is meaning in that fact alone. Just scanning over this list should pop the question of being or not right out of your mind. Venture into the world now and start pursuing the ultimate experience of truly being in it. 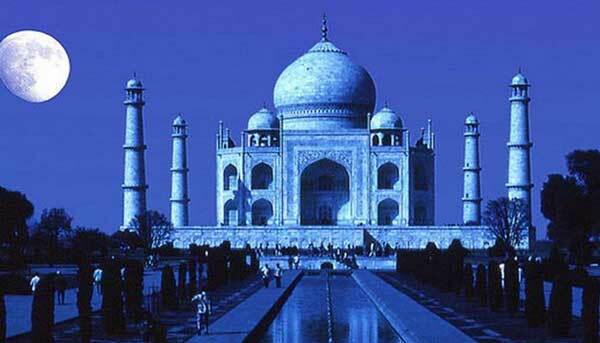 Such beautiful places---I would love got see them all, but unfortunately, I don't fly, which hinders my adventures. Hahaha, thanks for sharing. Don't think I will get to see any of them except in photos so thanks again for sharing. Great list! :) All places are beautiful and I wish you could see them one by one in the future! 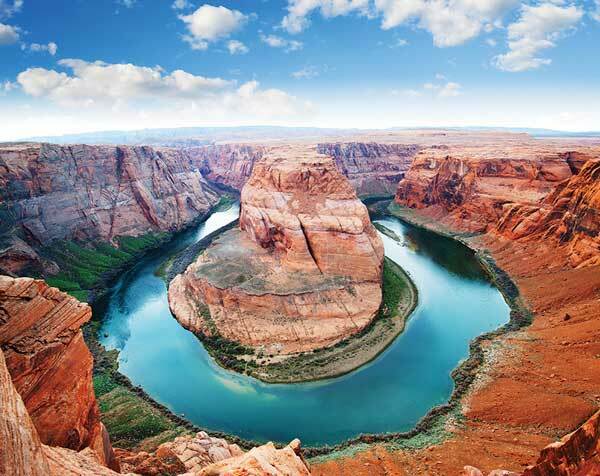 The picture you have of the Grand Canyon might actually be a picture of Horseshoe Bend, I think! Totally agreed on these destinations though. Spain has such an interesting culture that I would love to visit. I have been to many places and I really have enjoyed all the wonders I've seen thus far. I would be so blessed to eventually see the great wall of China as well! I second visiting Antigua. We went there right before my daughter was born as sort of a last hurrah before immersing ourselves in parenthood and what a gorgeous island! the people are so friendly and the beaches...just wow.